At Manifold, we developed some tools internally for easily spinning up Docker based development environments for machine learning projects. We are open-sourcing them as part of an evolving toolkit we are releasing called Orbyter. The Orbyter 1.0 package contains a Python cookiecutter template and a public Docker image. The goal of Orbyter is to help data science teams adopt Docker and apply Development Operations (DevOps) best practices to streamline machine learning delivery pipelines. Data scientists are becoming more involved in the delivery pipeline of products, and it is a non-trivial task ensuring that their work survives the delivery process. Of course, this isn’t a new problem: in the past, traditional software development teams would throw their work “over the wall” to the operations team to serve in production with little to no context. A community effort to solve the inevitable mess resulted in what we now think of as DevOps, removing the wall between development and operations to drive increased efficiency and improve product quality. New tools and processes to help teams implement streamlined delivery pipelines now help guarantee development/production parity. Now, the same problem has reared its head in the ML space, and is only getting worse as demand for AI products continues to grow. There is a new wall that is killing productivity. How does DevOps change with the rise of data science teams in engineering organizations? The pain points we are seeing in the community today feel familiar, but also have unique aspects to ML development. 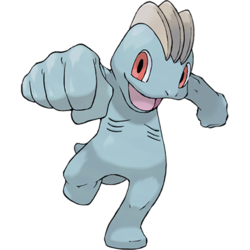 Machop: A bluish-gray Pokémon with large arm muscles. 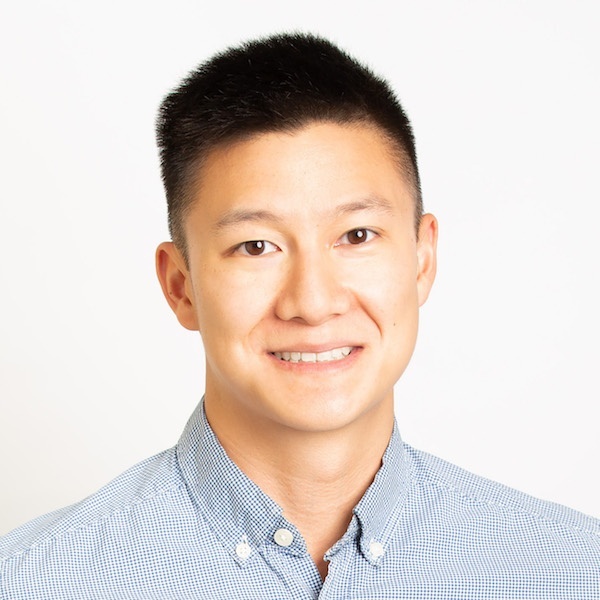 Can be found in the wild building open-source ML productivity tools for data scientists and engineers. By looking through a ML development lens with the DevOps mentality, we can identify several new areas along the delivery path that need improving. There is an opportunity to build new tools and best practices that specifically empower the MLE community to deliver more robust solutions in a shorter amount of time. Whatever the MLE toolkit ends up including, one thing we are very confident about is: Docker will play a major role in the ML development lifecycle standard. 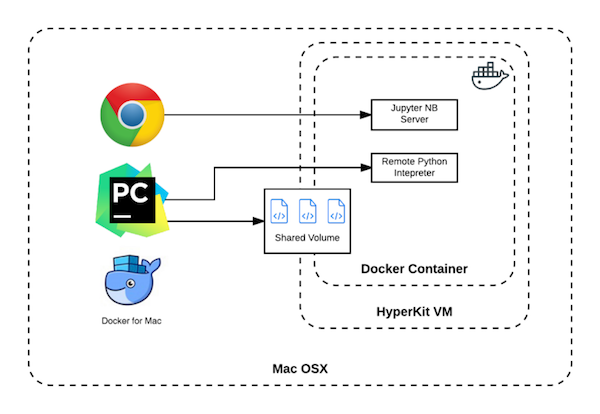 By moving to a Docker-first workflow, MLEs can benefit from many of the significant downstream advantages in the development lifecycle in terms of easy vertical and horizontal scalability for running workloads on large datasets, as well as ease of deployment and delivery of models and prediction engines. Docker images running in containers provide an easy way to guarantee a consistent runtime environment across different developer laptops, remote compute clusters, and in production environments. While this same consistency can be achieved with careful use of virtual environments and disciplined system-level configuration management, containers still provide a significant advantage in terms of spin up/down time for new environments and developer productivity. However, what we have heard repeatedly from the data science community is:I know Docker will make this easier, but I don’t have the time or resources to set it up and figure it all out. At Manifold, we developed internal tools for easily spinning up Docker-based development environments for machine learning projects. In order to help other data science teams adopt Docker and apply DevOps best practices to streamline machine learning delivery pipelines, we open-sourced our evolving toolkit. We wanted to make it dead simple for teams to spin up new ready-to-go development environments and move to a Docker-first workflow. The Orbyter 1.0 package contains a Dockerized Cookiecutter for Data Science (a fork of the popular cookiecutter-data-science) and an ML Development Base Docker Image. Using the project cookiecutter and Docker image together, you can go from cold-steel to a new project working in a Jupyter Notebook with all of the common libraries available in under five minutes (and you didn’t have to pip install anything). Fully configured out-of-the-box Dockerized local development setup for data science projects. The ML base development image was pulled down to your local machine from Docker Hub. This includes many of the commonly used data science and ML libraries pre-installed, along with a Jupyter Notebook server with useful extensions installed and configured. A container is launched with the base image, and is configured to mount your top-level project directory as a shared volume on the container. This lets you use your preferred IDE on your host machine to modify code and see changes reflected immediately in the runtime environment. Port forwarding is set up so you can use a browser on your host machine to work with the notebook server running inside the container. An appropriate host port to forward is dynamically chosen, so no worries about port conflicts (e.g., other notebook servers, databases, or anything else running on your laptop). The project is scaffolded with its own Dockerfile, so you can install any project-specific packages or libraries and share your environment with the team via source control. You can use your favorite browser and IDE locally as you normally would to do your work, while your runtime environment is 100% consistent across your team. If you are working on multiple projects on your machine, rest assured that each project is running in its own cleanly isolated container. Easy spin up/down of remote compute for ad-hoc vertical scaling to circumvent memory and compute constraints on your laptop. Easy spin up/down of a remote cluster to leverage distributed processing with Dask for feature engineering and training on an ad-hoc basis. Let us know if there are other use cases you would like to see added to the Orbyter toolkit! There is a lot of exciting activity going on in the MLE toolkit space and it’s easy to forget that, before even considering a higher-order platform or framework, you need to make sure your team is set up for success. We need what the DevOps movement did for software engineering in the ML delivery pipeline. Moving to a Docker-first development workflow is a great first step in making life easier for everyone involved with the delivery pipeline—and that includes your customers. Editor's Note: This blog post was originally published on Medium. It has been condensed and edited for this space. An even more condensed version also appeared on KDNuggets. This post has also been updated to reflect the current project name. Since initial publication, the project has been renamed—previously called Torus, it is now called Orbyter.